All about South Wales’ dyslexia charity ‘Tomorrow’s Generation’. Tomorrow’s Generation is a registered charity that provides a range of dyslexia support services for children and young people in South Wales. The Charity was founded by Anders Hedlund of International Greetings and Chaired by Dr John Elfed Jones CBE DL who has been at the forefront of many cultural changes within Wales over the last thirty years. Mr Hedlund who has dyslexia himself wished to create a small provision in Wales using specialist staff , technology and curriculum to meet the needs of pupils who are struggling to cope with their individual literacy problems and other associated difficulties. In 2014, with the generous support of the Wooden Spoon Trust, they were able to renovate the annex building of the Old School Community centre in Lisvane, which is now the home of Tomorrow’s Generation Learning Centre. The centre offers a bright and welcoming environment where a wide range of support services are on offer, including diagnostic assessment, one to one tuition, training sessions and parent workshops, as well the charity’s newest and most exciting project: ‘ Launchpad for Learning’, fun and engaging literacy support days for children aged 7-11 years. The idea for the Launchpad sessions stemmed from the ‘Holiday Schools’ run by the charity since 2010. The feedback from staff, parents and children was overwhelmingly positive in terms of children’s enjoyment of the theme based learning experiences on offer but also the apparent boost in confidence and attitude towards learning. Launchpad sessions aim to replicate that but in addition, provide more regular, targeted, intensive specialist literacy and numeracy interventions. Children attend Launchpad sessions for one or two days per week during term time to build upon what they have learnt in school and give them an extra boost in literacy, numeracy and perhaps most importantly, self esteem and confidence. The sessions also enable children to develop a range of skills and strategies to help them access the curriculum effectively on their return to school. 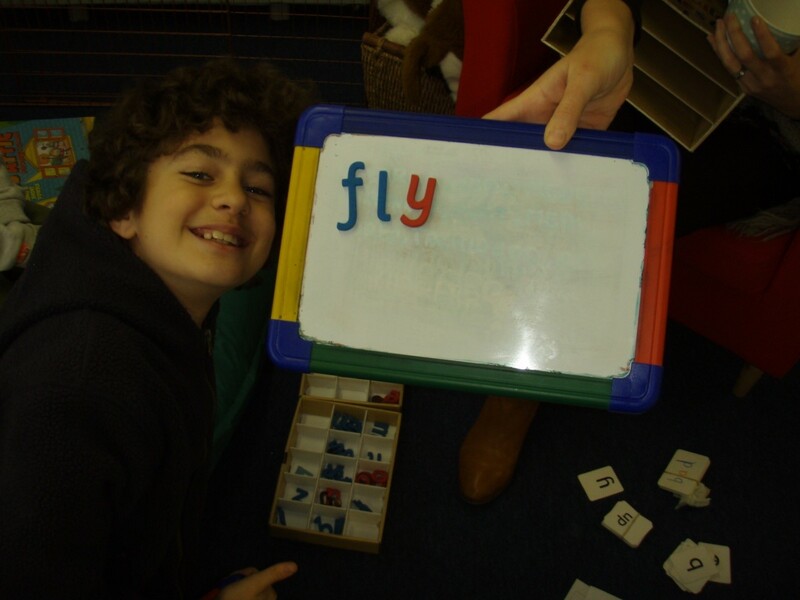 During the day, all children receive one to one literacy sessions with a specialist teacher to work on individual targets as well as accessing a variety of literacy interventions, activities and games, all tailored to meet the needs of the individual child. 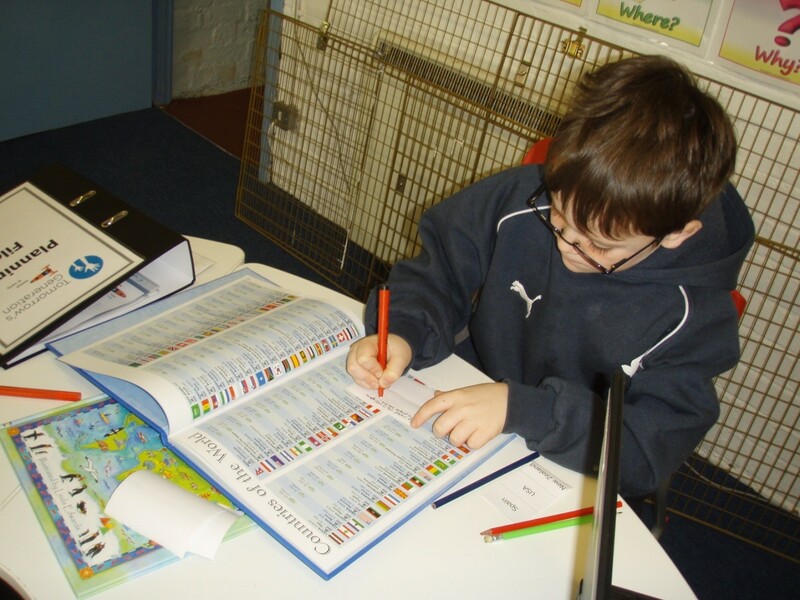 Daily numeracy sessions focus on and teach strategies to support areas of the curriculum that many dyslexic individuals find challenging, for example recall of times tables and telling the time on an analogue clock. Topic based learning links with literacy as much as possible and also ensures the core subjects are addressed. A wide range of creative, technological and outdoor learning experiences provide the children with opportunities to experience success and a boost in confidence. Launchpad staff aim to work closely with schools to ensure maximum benefits for the pupils and all activities are linked to the National Curriculum. Staff are happy to incorporate school IEP targets into their teaching program as well as any other specific targets for individual children. In addition to the services on offer at the learning centre, Tomorrow’s Generation also subsidises a number of other dyslexia projects across South Wales, including providing regular support sessions in Pen Y Dre High School situated on the Gurnos Estate in Merthyr Tydfil. These support sessions have proved invaluable to the school as funding cuts have meant that support services have been stripped back. Results from the cohort receiving support have shown dramatic improvements in both reading and spelling attainment. Part of the long-term vision of Tomorrow’s Generation staff and trustees is to work closely with teacher training colleges and universities in order to enhance trainee teachers’ knowledge, understanding and experience of dyslexia. This will enable the high-quality work being carried out at the learning centre to have a wider impact, providing future teachers with additional skills and expertise to bring to mainstream schools. Last year the Charity was involved in hosting the Welsh premiere of the film; ‘The Big Picture: Rethinking Dyslexia’ at the Riverfront Theatre, Newport with help from students from the University of South Wales, Newport. The event was supported by a number of professionals and academics working in the field of dyslexia as well as former rugby international Scott Quinnell. The film provides personal and uplifting accounts of living with dyslexia from a variety of individuals, including school children and iconic leaders, clearing up common misconceptions of the condition and painting a picture of hope for all who struggle with it. The charity received recognition from the film’s director James Redford, son of iconic film star Robert Redford for their work in promoting the film. For more information about any aspect of the work that Tomorrow’s Generation do please visit www.tomorrowsgeneration.co.uk call 01443 810900 or contact admin@tomorrowsgenerationschool.co.uk.